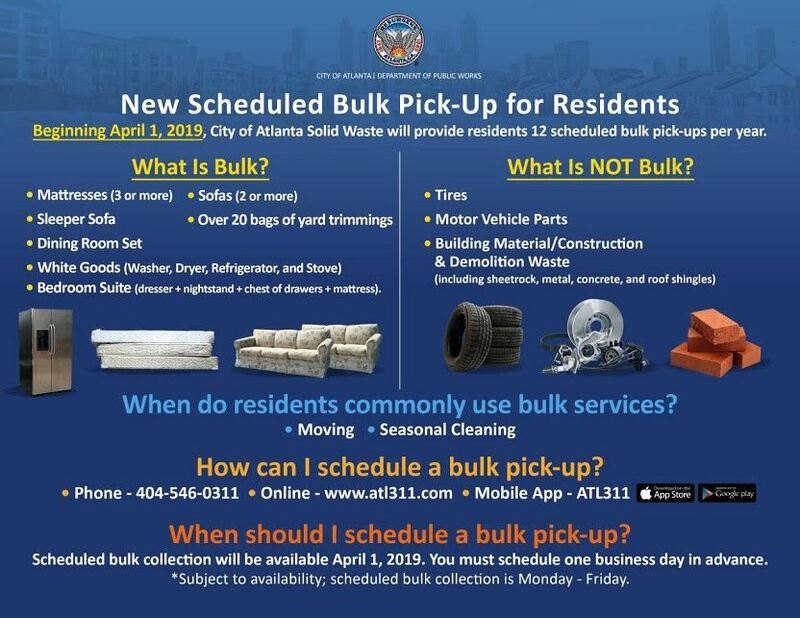 The City of Atlanta Department of Public Works announces that beginning April 1, 2019, all bulk pick-ups must be scheduled. There will be a maximum of 12 scheduled bulk pick-ups per year. Bulk collection can be scheduled by contacting ATL311 at least one business day in advance. Learn more by clicking here.